Upgrading or chaging your OS? Time to virtualize your physical machine ! The Windows Sysinternals group at Microsoft has released Disk2vhd that is a free physical to virtual converter. Disk2vhd allows you to create VHD (virtual hard dive) files from physical drives on your computer while your system is online. 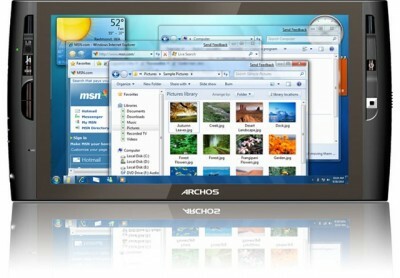 The VHD files generated can be used in Microsoft Virtual PC or on Hyper-V server or VMWare or VirtualBox. Could you use the Sixth Sense? Finally.... after a few years, I have now moved the V-Pulse to a "proper" hosting server. Hopefully, you will notice the difference ! 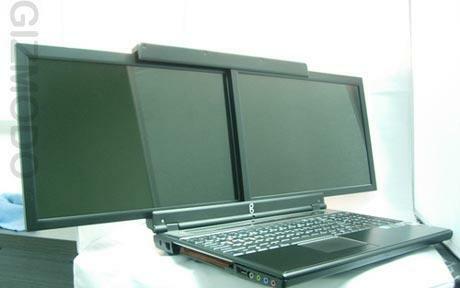 The gScreen Spacebook will boast two 15.4 in screens which can slide away to fill the space of a single screen when the laptop is being stored or transported. Hiren’s BootCD version 9.9 just out! Hiren's BootCD is a wonderful live CD containing various programs such as Hard drive recovery, Hard Drive Partition, Hard Drive Backup, Hard Drive Testing, RAM (Memory) Testing, System Information, MBR (Master BootRecord), BIOS, MultiMedia, Password, NTFS (FileSystems), Antivirus, AntiSpy, Process, Windows Startup, Registry tools, Windows Cleaners, Optimizers, Tweakers, and many others... As it is a bootable CD, it can be useful even if the primary operating system cannot be booted. We may call it as an emergency cd which every computer technician or home user must have. Like Cajun food? Crawfish? What about a Cajun Crawler? Nice to see ULL on the map !